Over seven thousand children in Durban, eThekwini are benefitting from the Safe Routes to School Programme which has been implemented by the eThekwini Municipality. 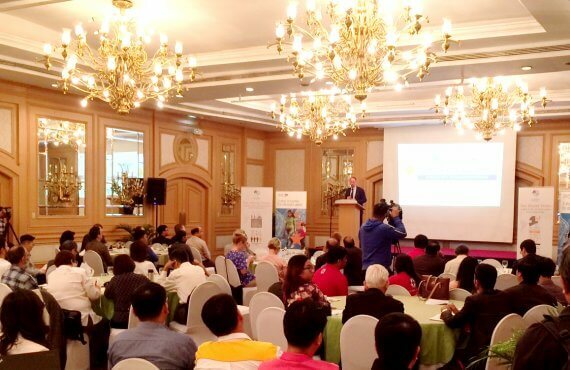 The research project which has been piloted at eight schools by the Road Safety Branch of the Transport Authority since January 2016, is funded by the Janssen Pharmaceutical Companies of Johnson & Johnson and co-ordinated by the Global Road Safety Partnership. Children aged between 5 and 9 years old, are the age group most involved in pedestrian crashes in eThekwini, and many of these crashes occur when children are walking to and from school each day. The eThekwini Municipality has been improving engineering infrastructure around schools since 2006 in an effort to reduce these school related crashes involving children. The Safe Routes to School programme is considered to be the most comprehensive child safety initiative of its kind anywhere in the world. 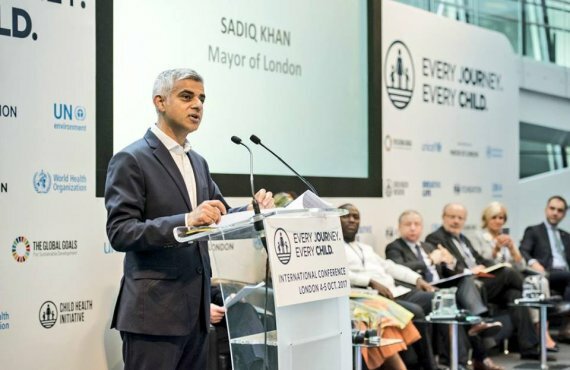 The aim of the programme was to reduce the involvement of children in road crashes when travelling to and from school, and the City therefore embraced this opportunity. 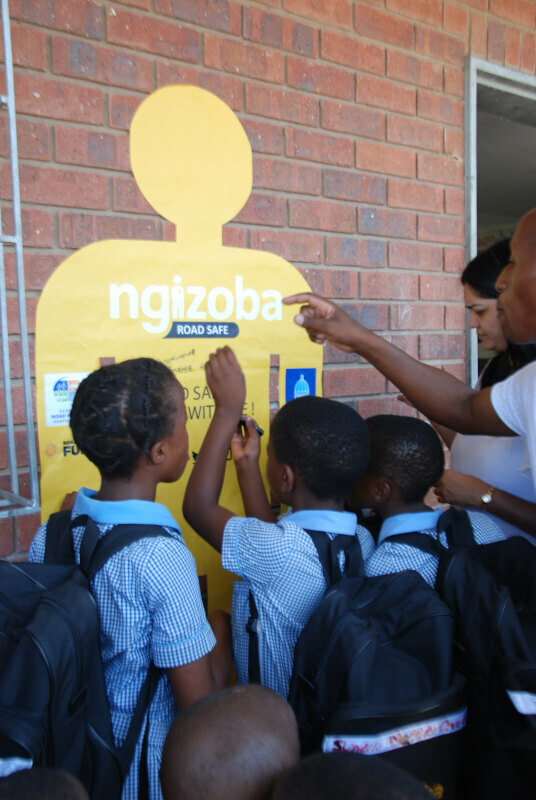 The primary schools chosen to participate in the programme were chosen in four areas with high child pedestrian crash rates – Cato Manor, Kwa Mashu, Umlazi and Welbedacht/Demat. The risk factors identified in these areas were: high vehicle speeds around schools where children were crossing and walking along roads, unsafe parking activities of vehicles around school zones, and children not wearing safety belts when being driven to and from school. 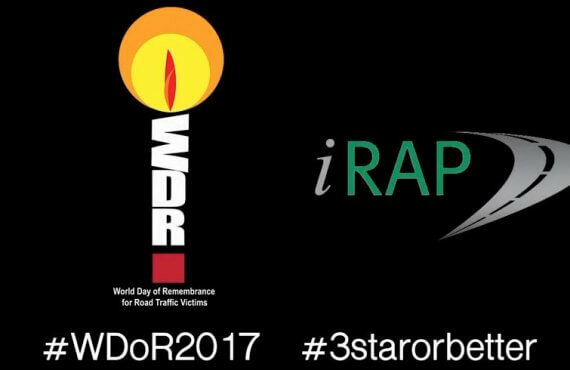 Teachers have been trained by facilitators using innovative Road Safety Programmes. 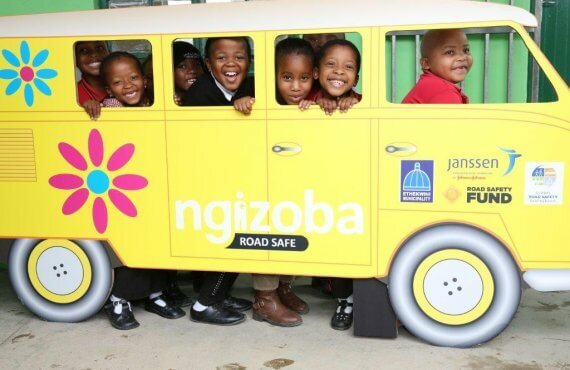 eThekwini’s Ngizoba Road Safety education programme has also been presented at all schools, and learners have been educated on safe road user behaviour. 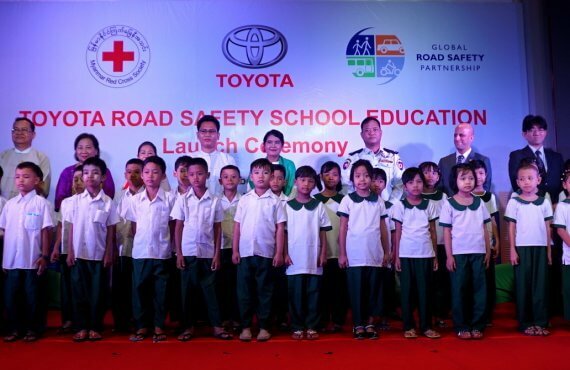 These children have also pledged to become safer road users as part of this campaign. Seatbelts have been installed in all foundation phase classrooms (grades one to three) to enable children to practice fastening the seatbelt mechanism. Reflective high visibility school bags have been given to all learners at the schools to increase the visibility of children in traffic on journeys to and from school. 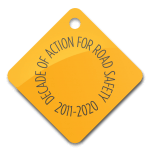 Roads around the pilot schools have been assessed using international road assessment programme (iRAP) methodology, providing a safety rating which highlights road risks for the children. 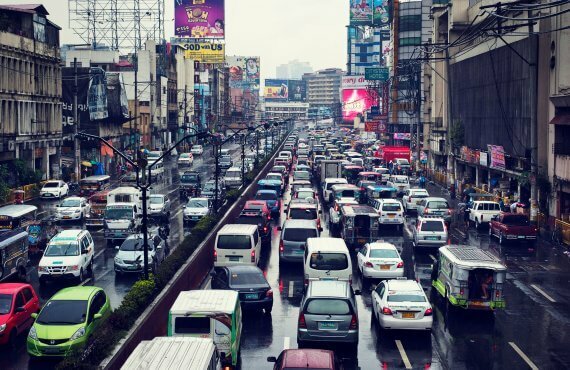 A comprehensive list of road infrastructure improvements on these roads has been compiled, with a programme for the implementation of these improvements. Short Term improvements include road markings and signage, and Medium Term improvements such as the construction of sidewalks and traffic calming measures. Crash data has been analysed on all roads with a 500 meter radius of these schools and this will be used as the baseline data for monitoring and evaluation. 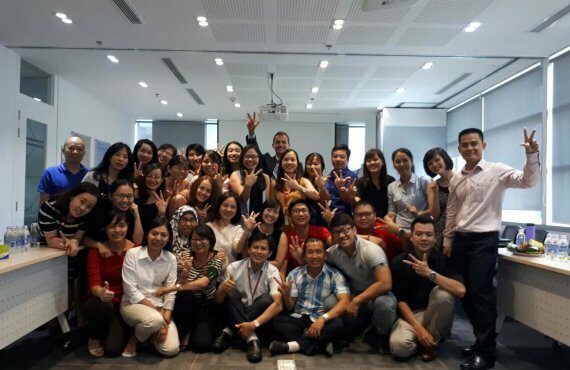 Educators are motivated to teach road safety education following the dynamic and inspiring training they received from the programme and love using the large glossy reading books which were provided. 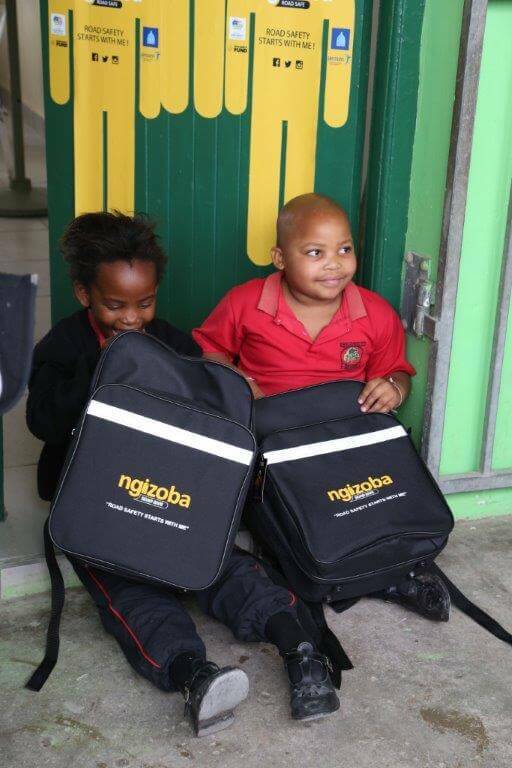 The seatbelts installed in classrooms are regularly used, and learners are all proud of their high visibility bags which they use each day when coming to school. Additional road safety activities are being conducted at all the schools both in the classrooms and at assembly time where road safety poems, songs, stories and dramas are performed. A road safety fun day was also held at one the schools. 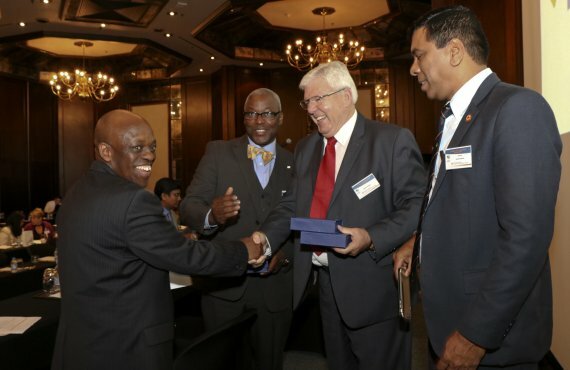 Road Safety in eThekwini has benefited from the introduction of new approaches and technologies both with regard to the improvement of skills and capacity but also attaining synergy through collaboration with our partners. The Project Manager, Sandra Graham commented that it has been heartening to see that Road Safety is now alive in these schools and is sustained by the teachers, learners and parents since the inception of this programme. The roll-out of infrastructure improvements will assist further in providing a safer environment for these learners on their journey to school.